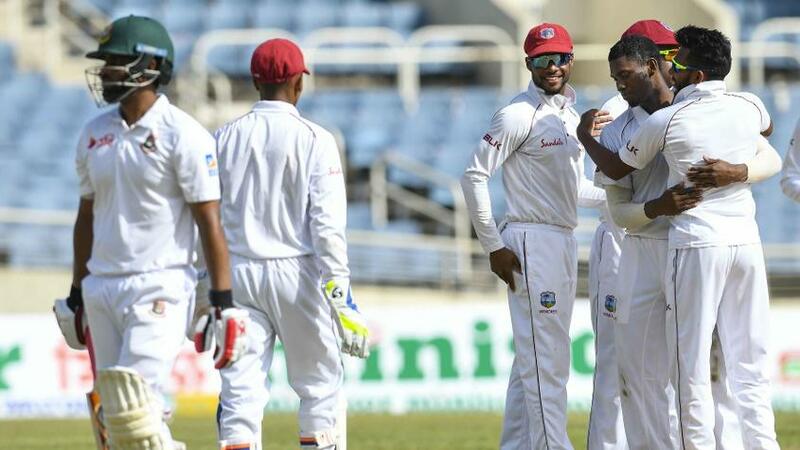 WEST INDIES (92 News) – If Kraigg Brathwaite was the star on the first day, it was Jason Holder’s turn to steal the show on the second as the Windies got into a fantastic position at Sabina Park. Bangladesh collapsed again – this time for 149 – as Holder, the Windies captain, picked up five wickets in 10.1 overs in reply to the home side’s first-innings score of 354. The Bangladesh innings lasted just 46.1 overs. The day ended with the Windies 19/1 in their second innings, 224 ahead overall and in line for a second big win in the two-Test series. The day started with the Windies on 295/4, Brathwaite’s 110 and Shimron Hetmyer’s 84* having put them in the ascendancy. Hetmyer fell after adding just two more runs to his tally on the second day, and there’s wasn’t another innings of note apart from Holder’s 33*. Indeed, the first bit of the day belonged to Bangladesh, who bounced back well to pick up six wickets for just 59 runs. Mehidy Hasan, the young off-spinner who had picked up three wickets on the first day, ended with 5/93, while paceman Abu Jayed had 3/38 and Taijul Islam, the left-arm spinner, 2/82. Bangladesh, who had collapsed for 43 and 144 in the first Test on their way to defeat by an innings and 219 runs, were slightly better this time even though they lost opener Liton Das and Mominul Haque with just 20 runs on the board. Shannon Gabriel sent both batsmen back in the seventh over of the innings. But the experienced Tamim Iqbal looked good and got good company from captain Shakib Al Hasan for the third wicket as the two added 59 runs. 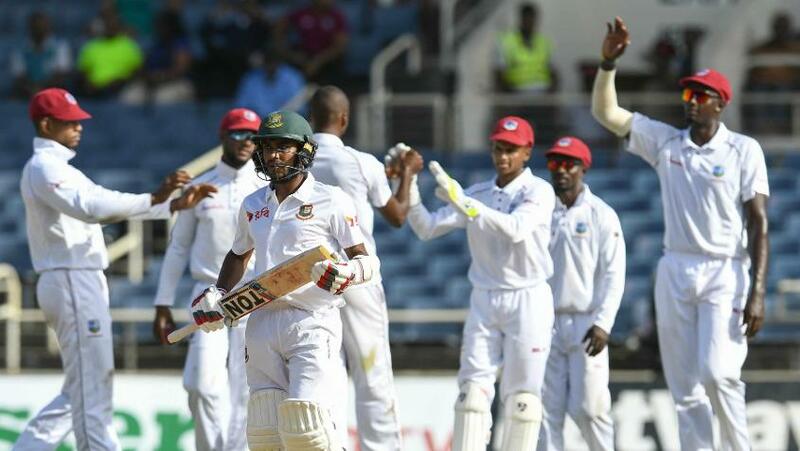 Holder broke through with the wicket of Shakib (32), and after Keemo Paul hit Iqbal’s stumps to send him back for 47 – his first Test wicket – there was little resistance bar Mushfiqur Rahim’s 24 and Islam’s 18. Holder finished with 5/44. There was time for only nine overs in the second Windies innings, in which Shakib bowled Brathwaite for 8. Devon Smith and Paul, the night-watchman, were at the crease when play ended.